It has been crazy town over here, and it’s been embarrassingly LONG since my last post! That being said, I thought I’d do this post loaded with photos to let you know what I’ve been up to. First of all, have I mentioned that I’m 7 months preggo? Yup, that’s me and my bump and Paige. And we just listed our house for sale. It goes on market this week! 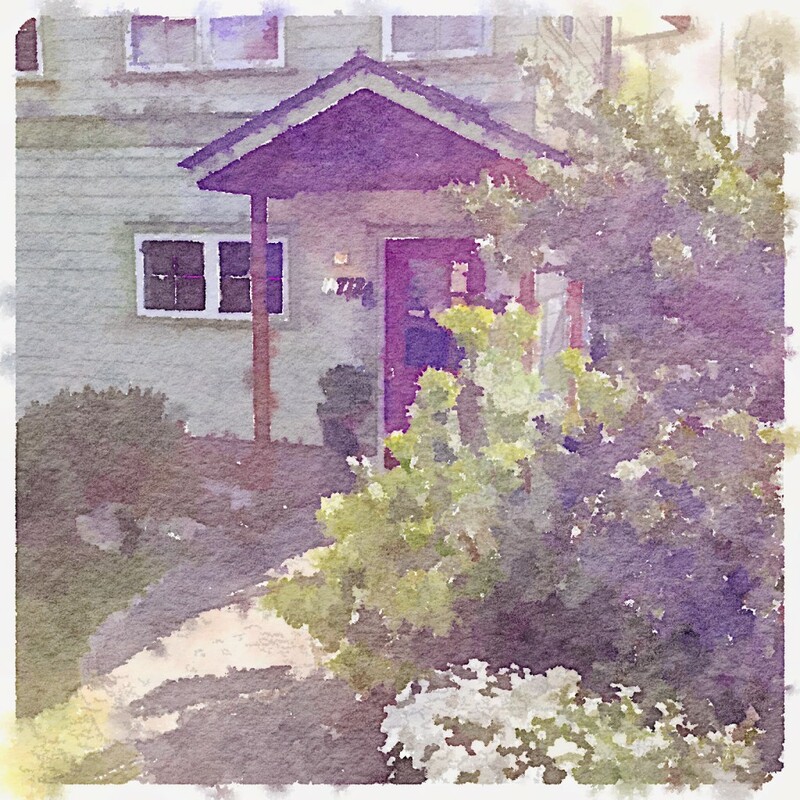 As of last weekend, we moved to a temporary rental home until we find a permanent home. 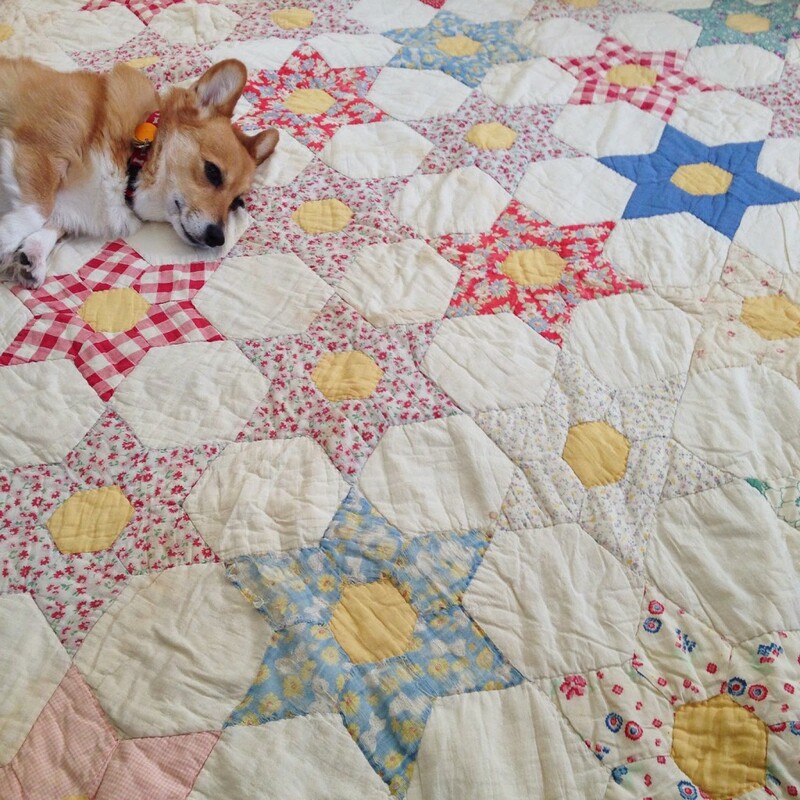 I haven’t had much time to quilt (and definitely no nesting time! lol), however amongst all the craziness I did find time to work on this baby quilt (pictured above and below) for my sister in-law’s baby, Nathan. You can find the tutorial HERE. As of last week I’ve said goodbye to my old sewing corner, below. 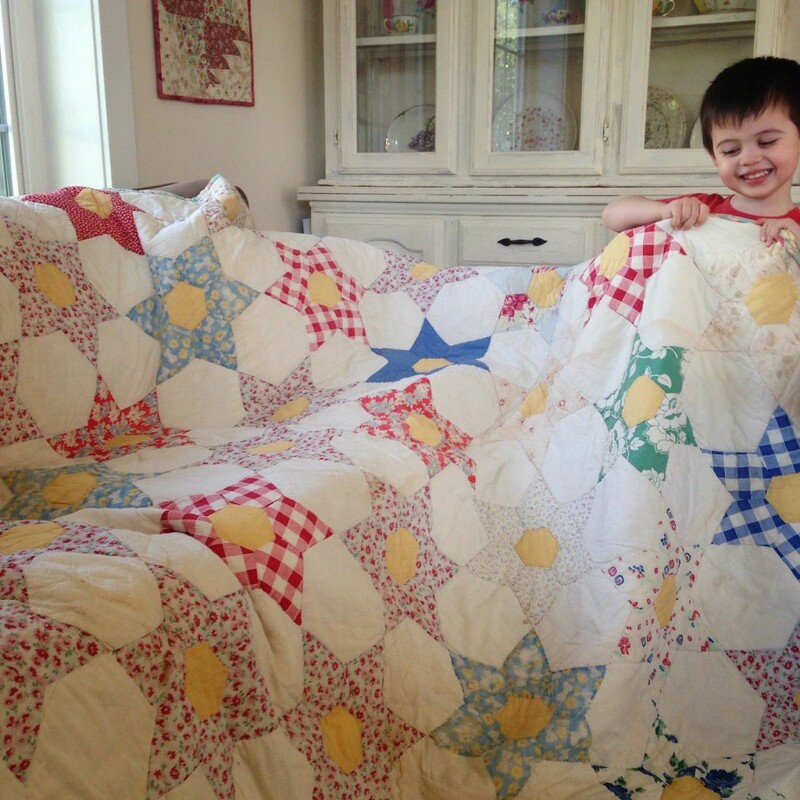 I can’t believe how many quilts were made in that tiny, itty-bitty space. 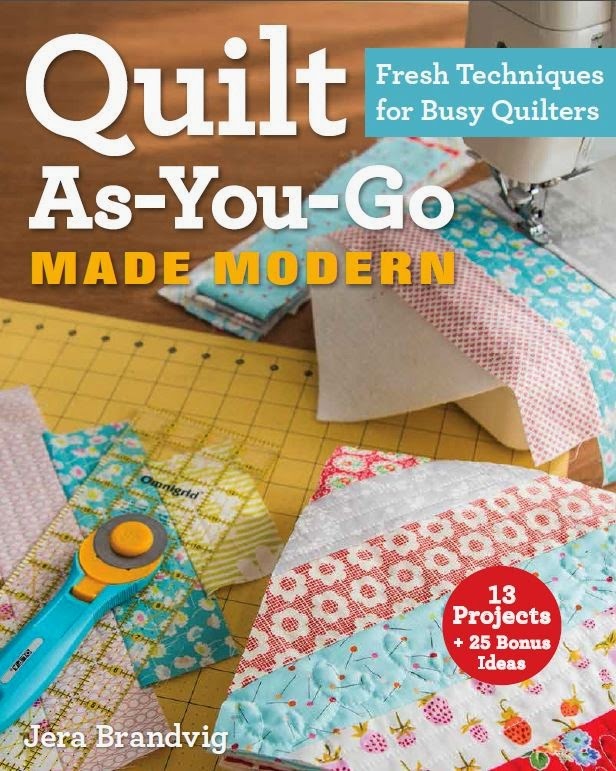 That’s where my book, Quilt As-You-Go Made Modern came to life! 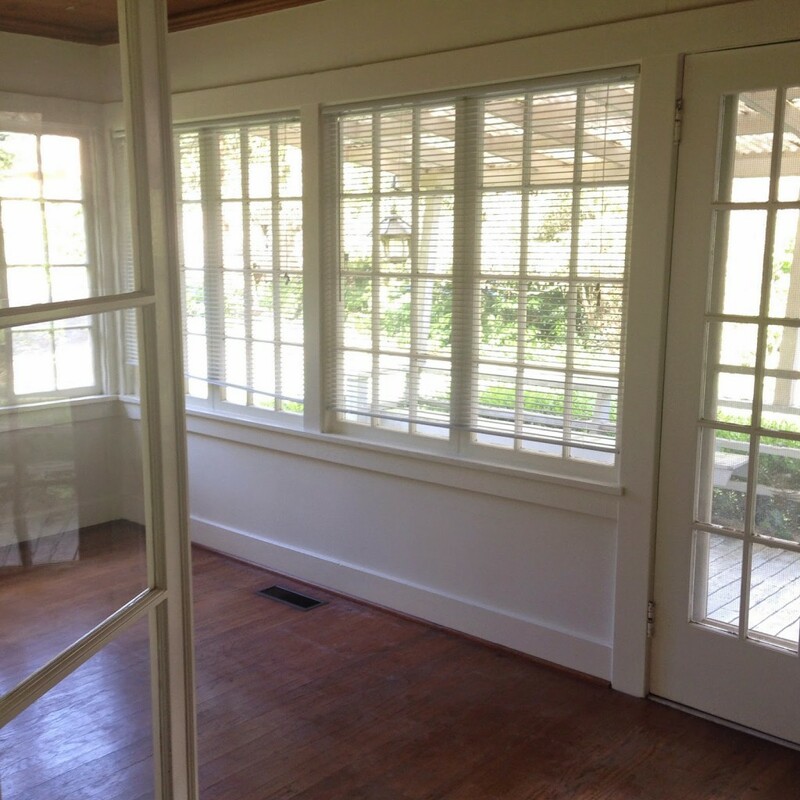 My new space as of this week is this beautiful sun room. I am quite smitten with it! I started moving the necessities into the room, being my Pfaff, a table and a chair. Anyway, the months and weeks leading up to now involved a lot of packing and moving, and that combined with watching my 3 year old and working part time and growing a baby were pretty much non-stop. I think it’s fair to say that I am POOPED. It’s a breath of fresh air to be able to settle into a home again. 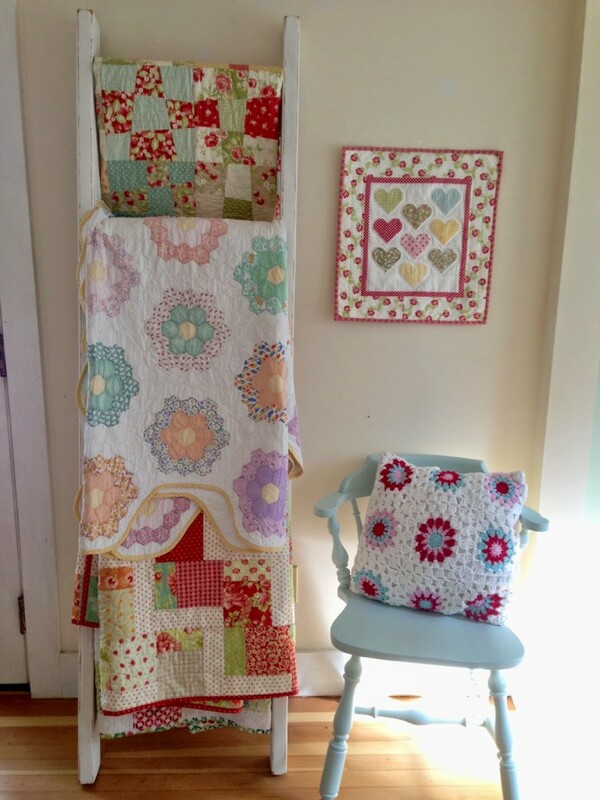 (Above: On the ladder, the middle quilt is a vintage find. The top quilt is my Strawberries Fields Forever quilt, the bottom is my Stairway to Heaven quilt, and the mini hanging on the wall is my Sweethearts Mini quilt). 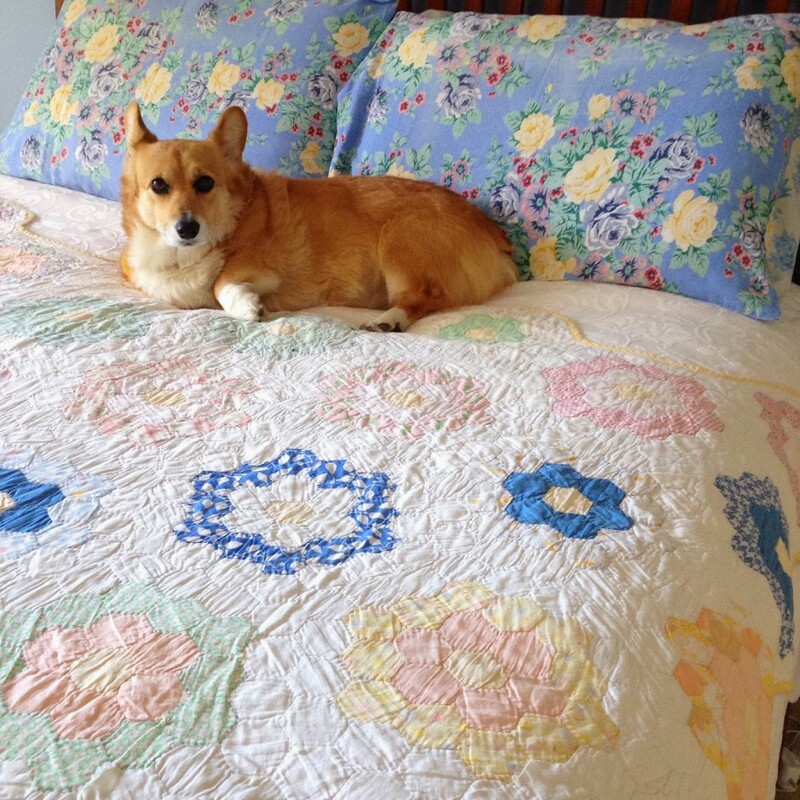 (Above: vintage quilt and vintage pillow cases, modeled by my furr-baby Paige). Aren’t they absolutely stunning? 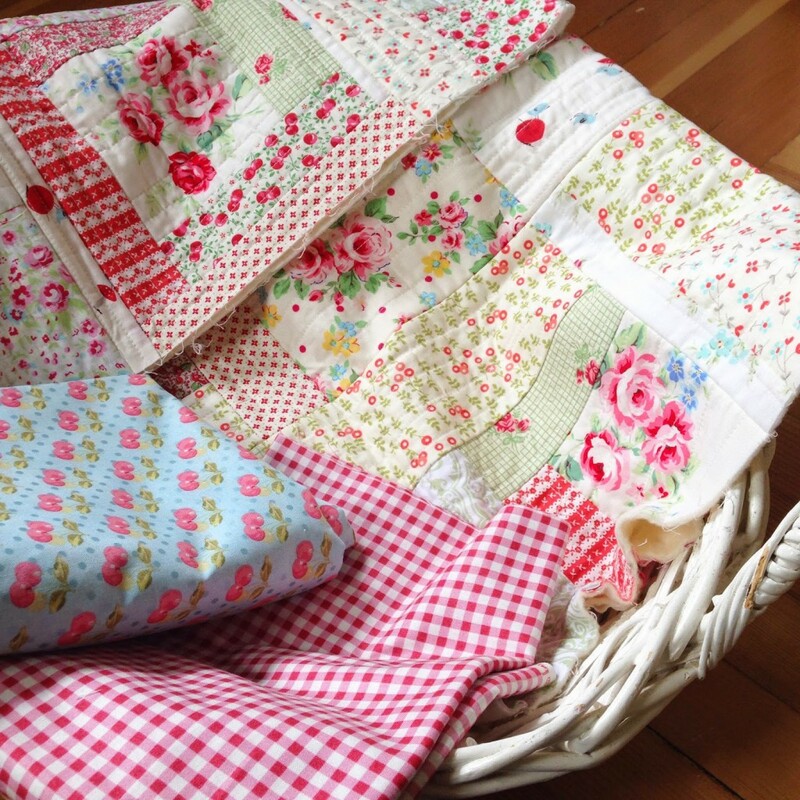 How can you not draw inspiration from such beauties – and they were all hand-quilted!! I’ve said this before and i’ll say it again: one of these days I will find time to finish all of my work in progresses!! I was hoping to finish this one (below) but then realized I accidentally packed the remaining fabrics in storage 🙁 Those public storage units scare the hell out of me with those long, dark corridors, flickering lights, no windows… So who knows when i’ll get back to this one. 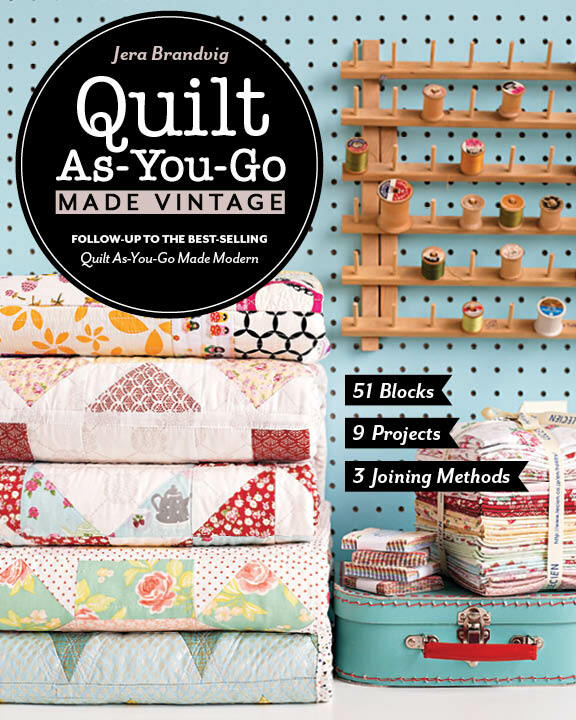 But you know me…I have quilting-ADD and i’m already scheming a new project! I’m collaborating with Lecien fabrics to create a quilt using their new Flower Sugar line of pre-cut fabrics, pictured below! I am so EXCITED to share more with you! I’m all setup in my new space, and anxious to get quilting again after the big move! 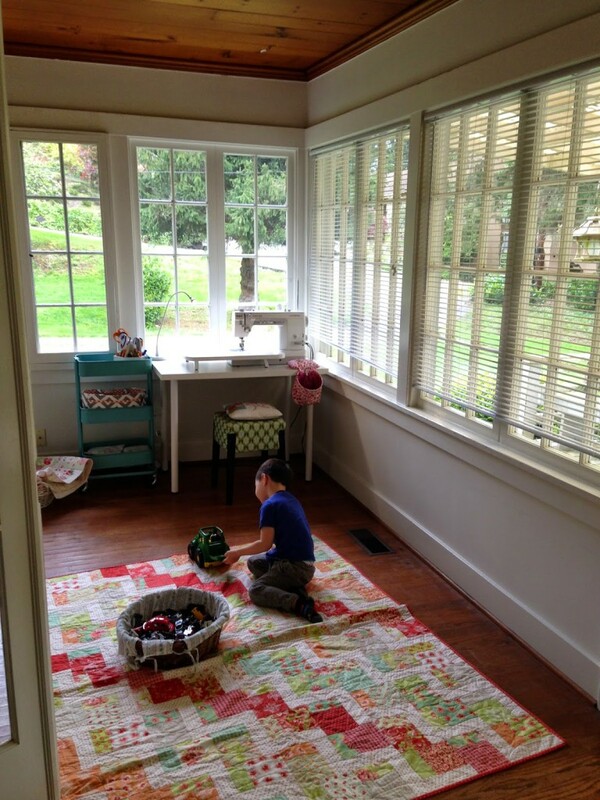 Congrats on a new house, a new baby, and a temporary new sunroom sewing spot! I'm tired just reading about your busy life. Thanks for the update and the beautiful photos. Good luck with your final move! Best post ever. I wish you the best on your new baby, and your new home. Thanks for all the inspiration. Congrats on everything. Glad to see you post again, have missed you. What exciting times!! Can't wait to see your new inspirations. Congrats on your baby news!! 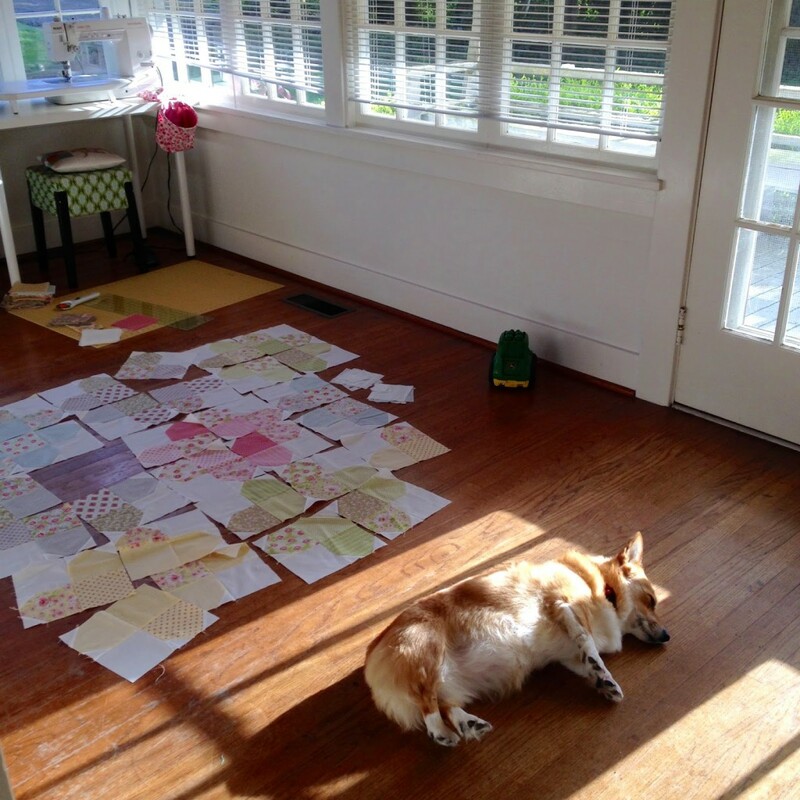 you have been busy, but with great rewards, a new home, a new hub, and maybe a new quilt or two! Wishing you all the best with the many exciting changes in your life. 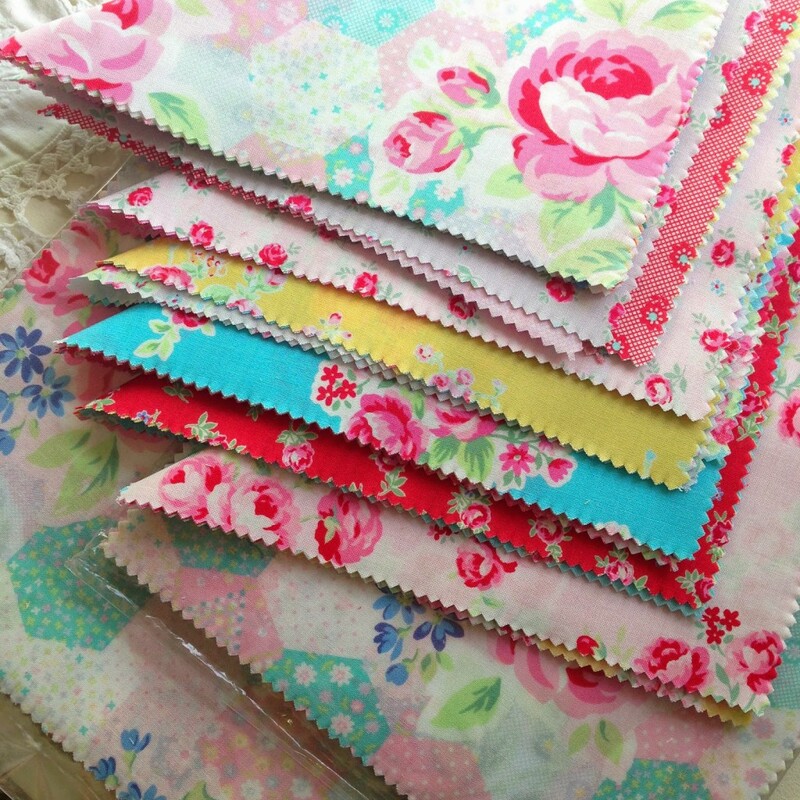 Looking forward to seeing what you make with those pretty fabrics! Congratulations on the new baby to be. 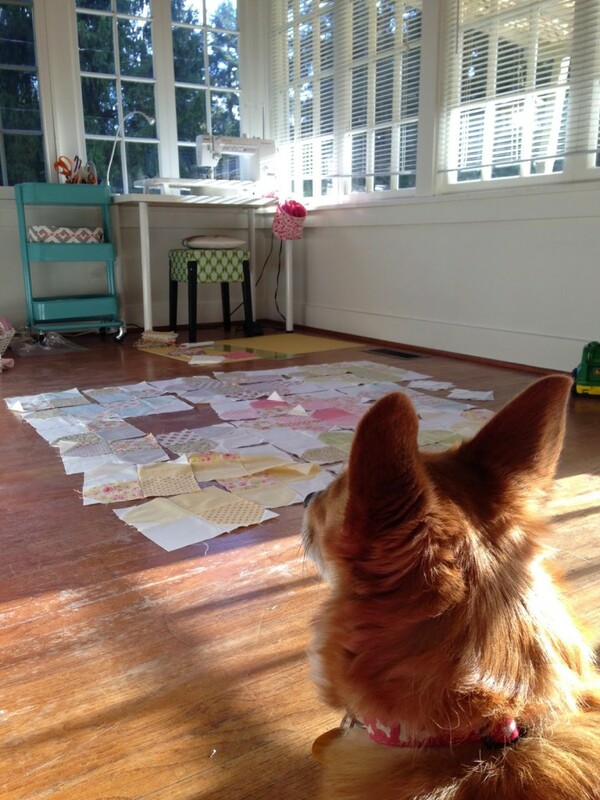 I love your temporary sewing room, it has so much light. Love that new fabric. It was great to see a post from you. 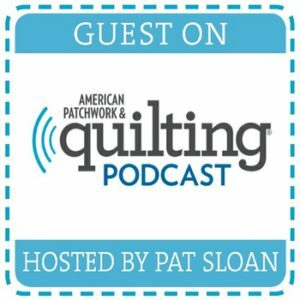 Quilting ADD…. You are not alone. No you are not alone, Jera. I love the bright colors, I love lecien fabrics so much, I have a small stash too. The rental place offers a nice space for you to just spread out, I know the storage units are gross. I am praying for the rest of this change to be smooth and happy. You have been BUSY! I hope you can put your feet up and get some rest before that baby comes! Nice post! 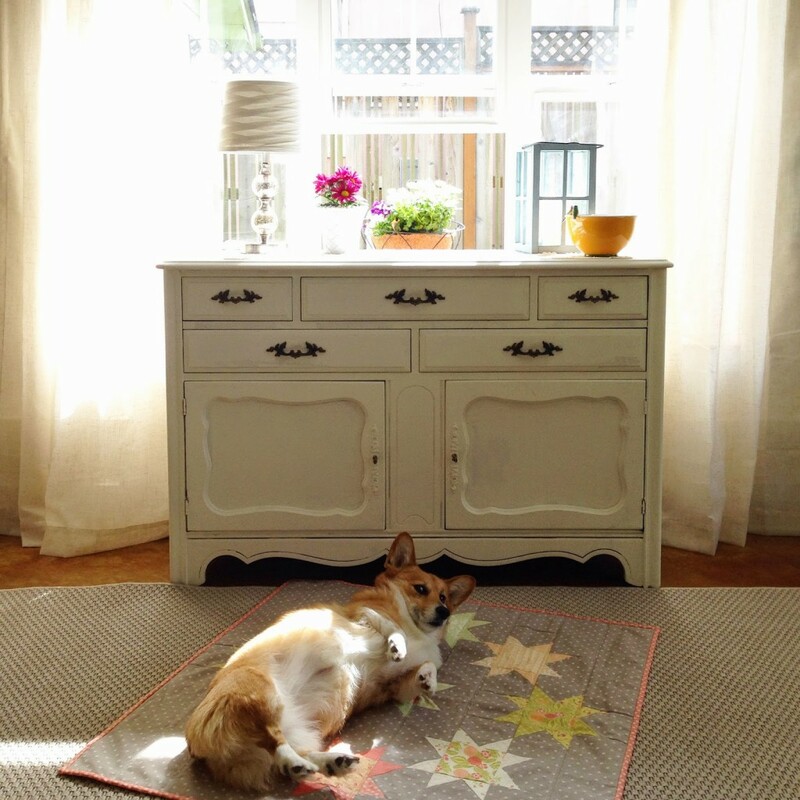 Love your new sewing room – makes the moving out a little easier, hm? Good luck with finding a new house. I enjoyed the eye candy of your quilts! 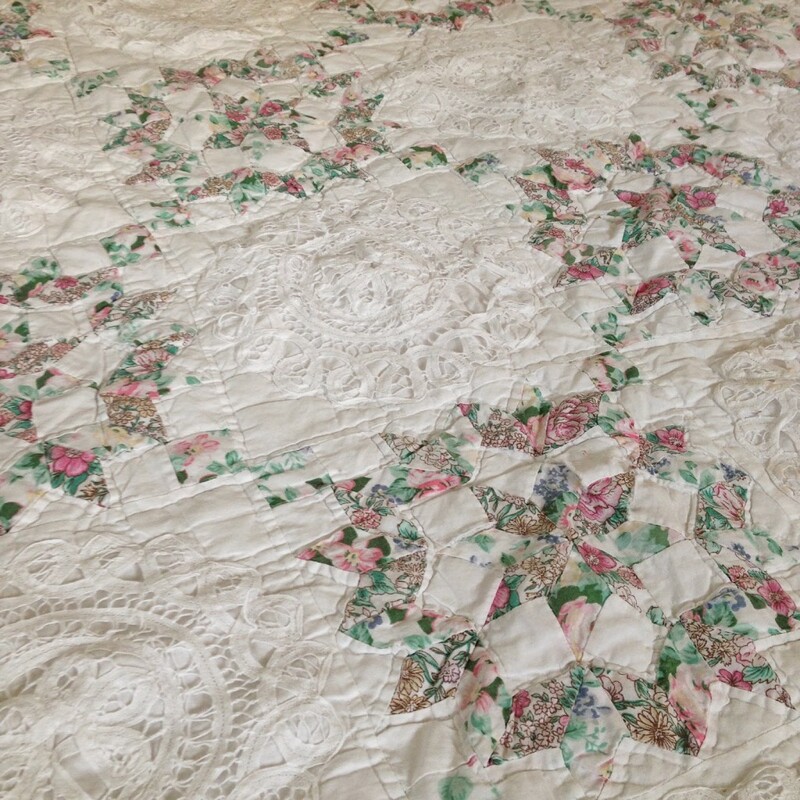 I have a collection of doilies similar to the ones on your vintage quilt. 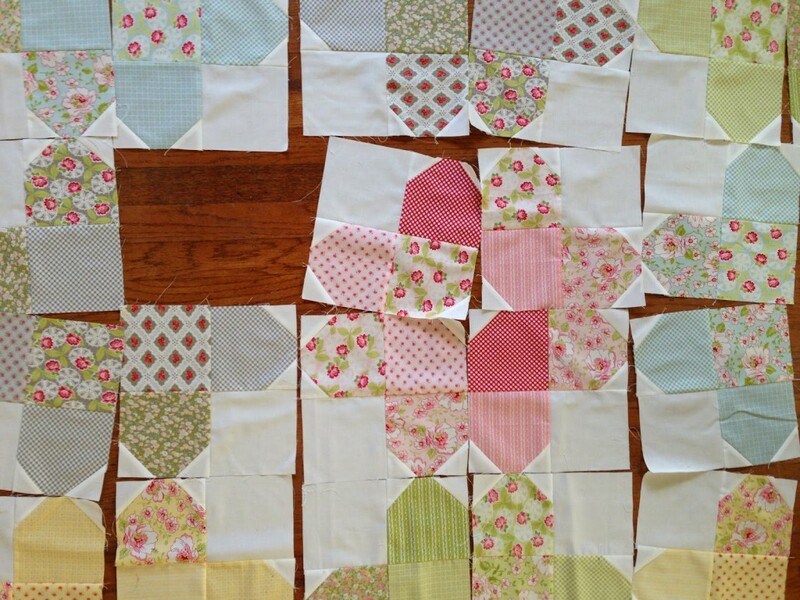 I've been brainstorming on how to make a quilt out of them, and your pic helps the process! Congratulations on everything! Quite a busy time for you and your family. Good luck! 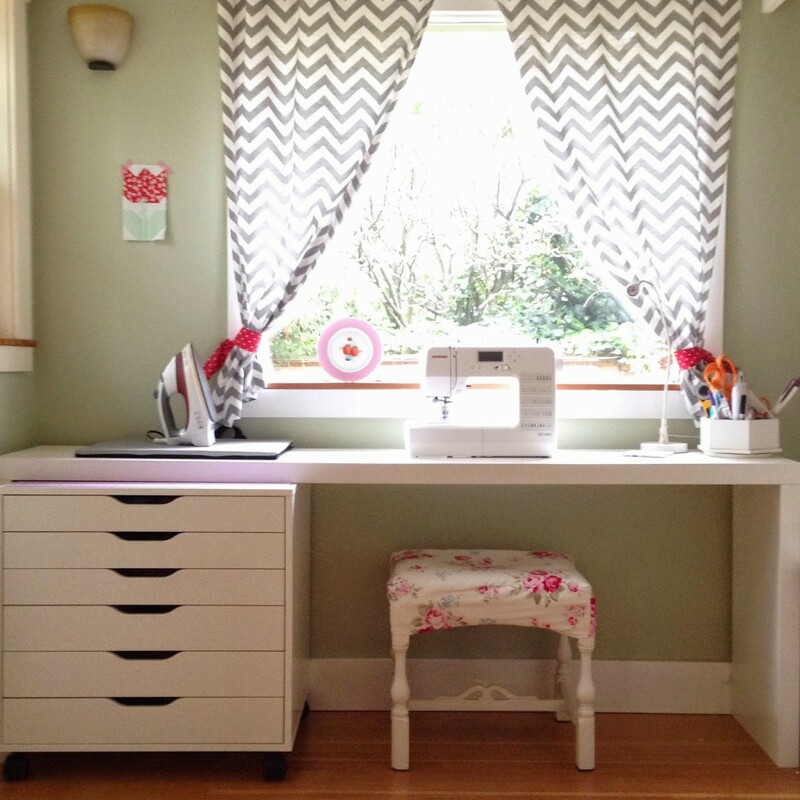 I love your bright and cheery new sewing space! Congrats on everything. What a busy time you have had. Great to see you posting again. Love the bright sewing space. All the best to you and your family. Keep us in the loop of all your happenings. Congratulations!! Try to rest in there somewhere before the baby comes!! Hi Jera, OMG, the move must have been exhausting, hope you had lots of help. Congratulations on your pregnancy! 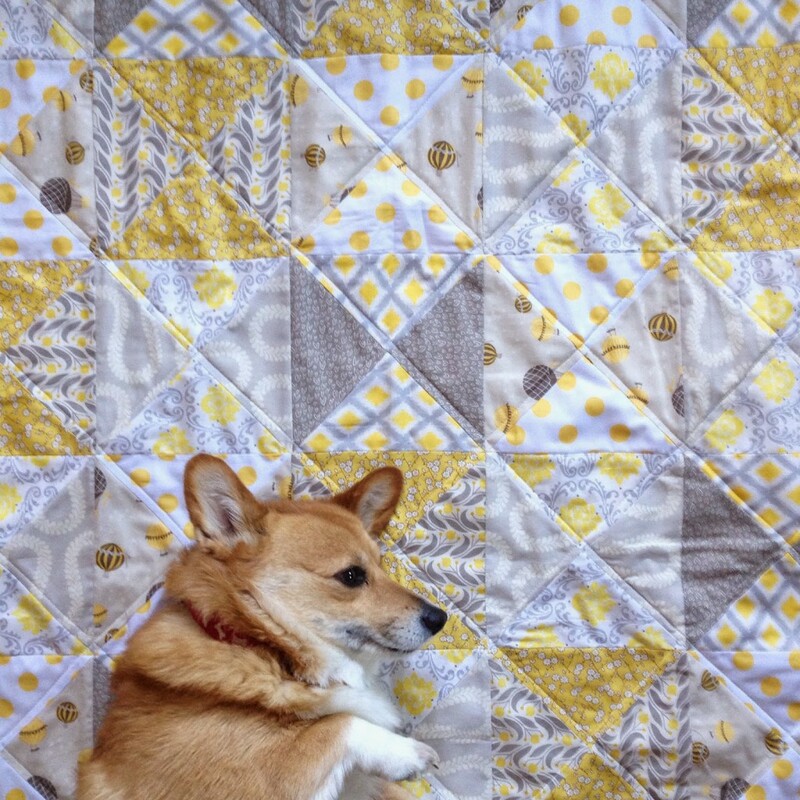 I have finished a quilt I made using your Rainy Days pattern and have linked to your tutorial in my blog post. 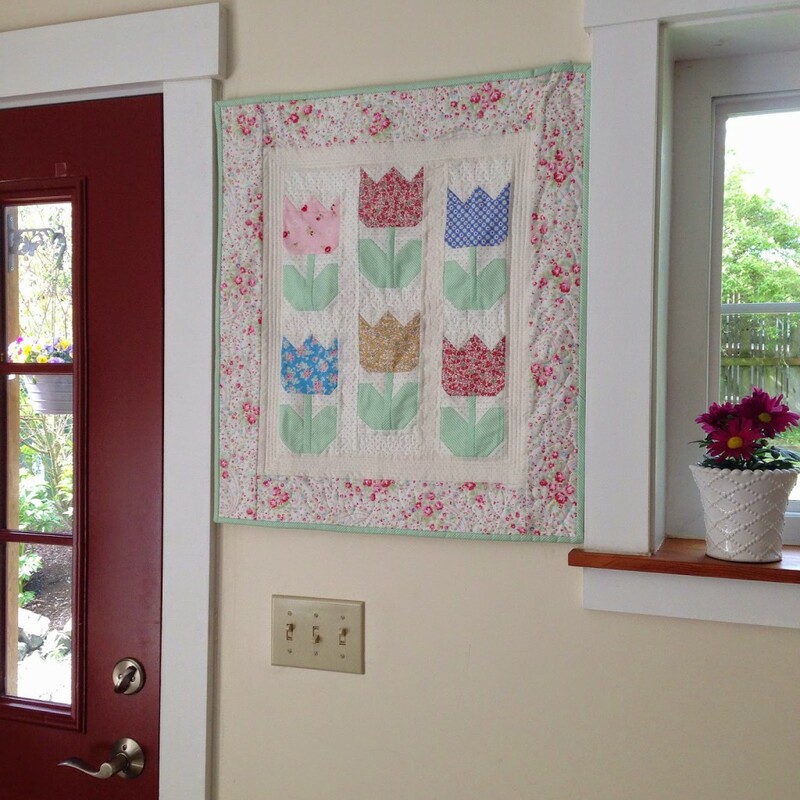 Thank-you for writing such an easy to make FQ quilt pattern. I really enjoyed it. My husband needed one more thing to get free shipping on Amazon and told me to pick a book. 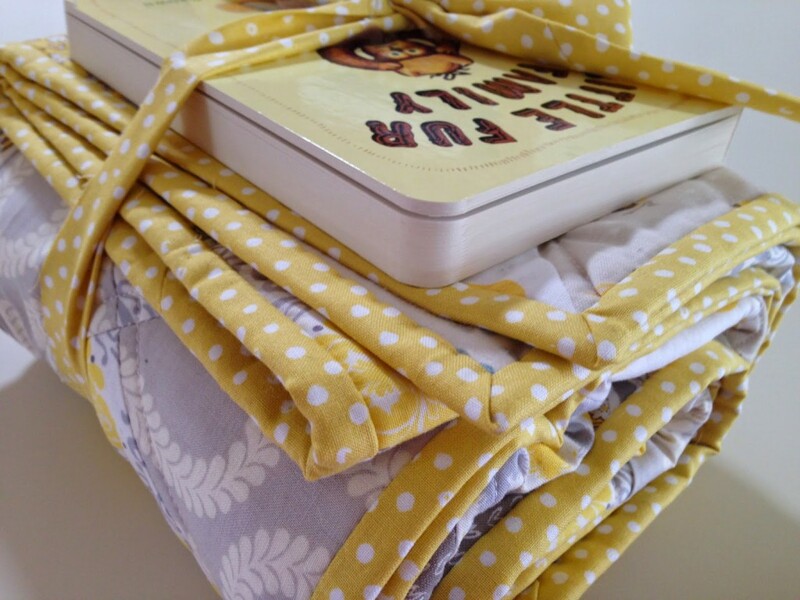 The only kind of books I want now are quilting ones and when I stumbled upon yours I knew I had to have it! I have a three month old and have managed to get to my sewing room only two or three times since she was born. Hopefully she naps more consistently soon so I can get back in there. 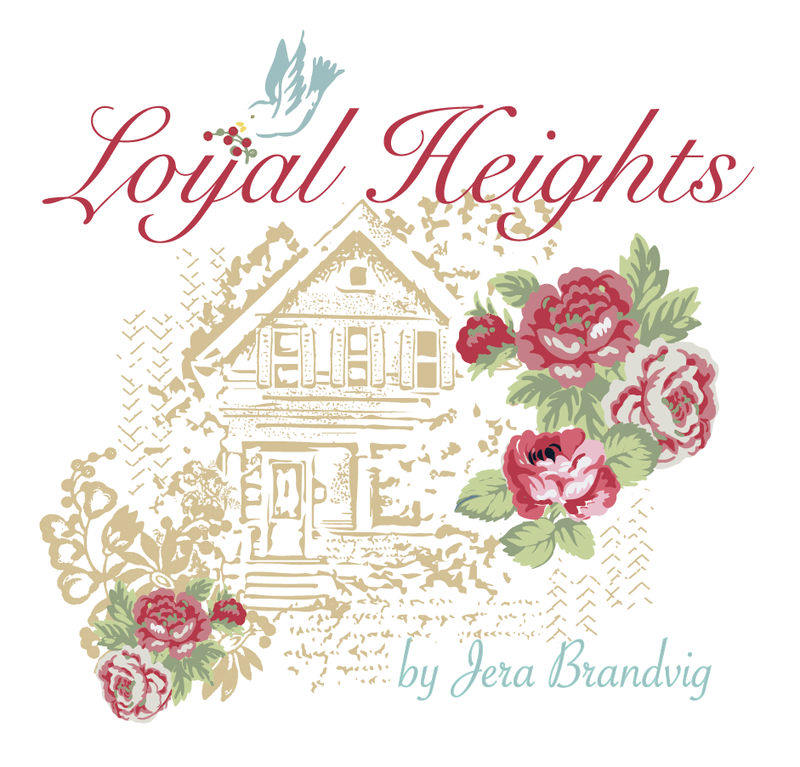 Can't wait to get your book and read your blog! 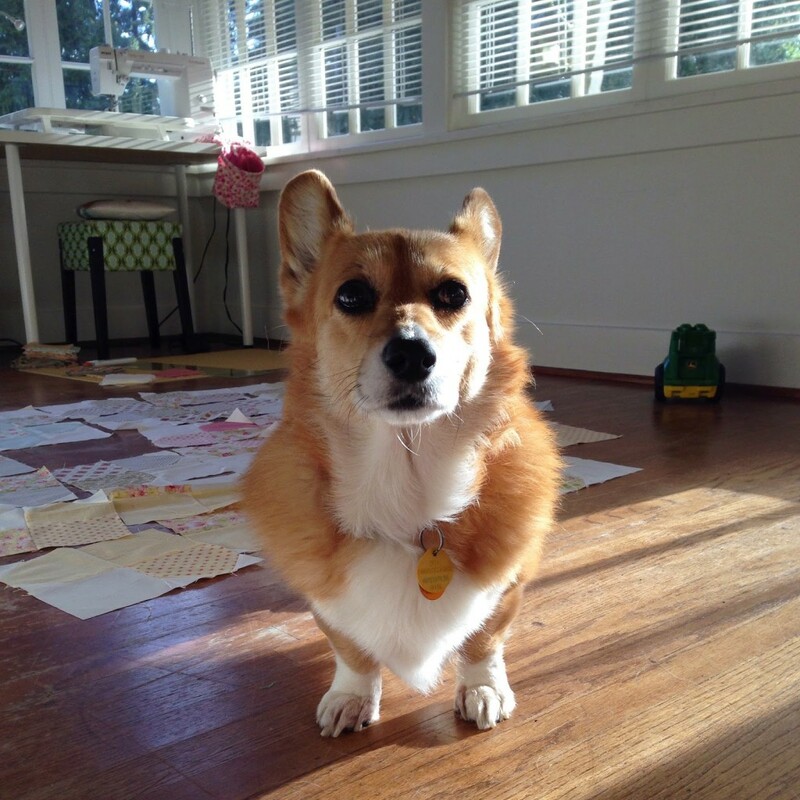 PS- I looooooove corgis and Paige is a cutie pie! I am so excited to have found your lovely blog. 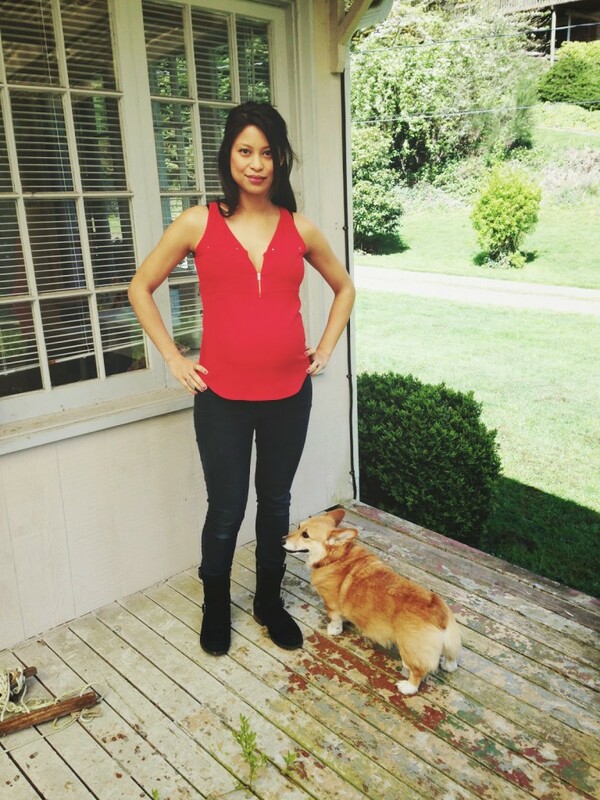 Jera, have missed your blog, did you have your baby already? 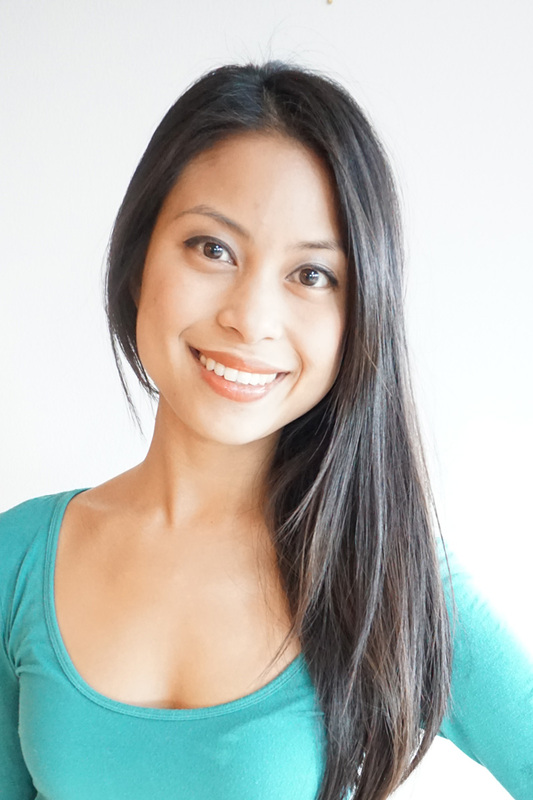 I hope you can post something soon, Love to see what you are doing and read your blog. 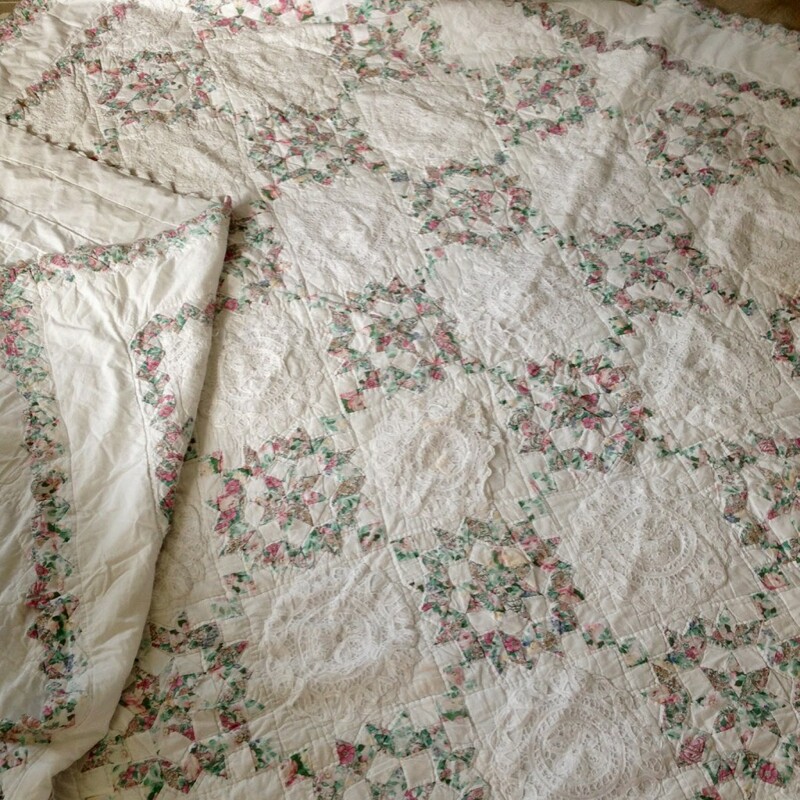 I like your ideas for hand made-beauty quilts. At first congratulation to you. Everything is new. Something new is always special. 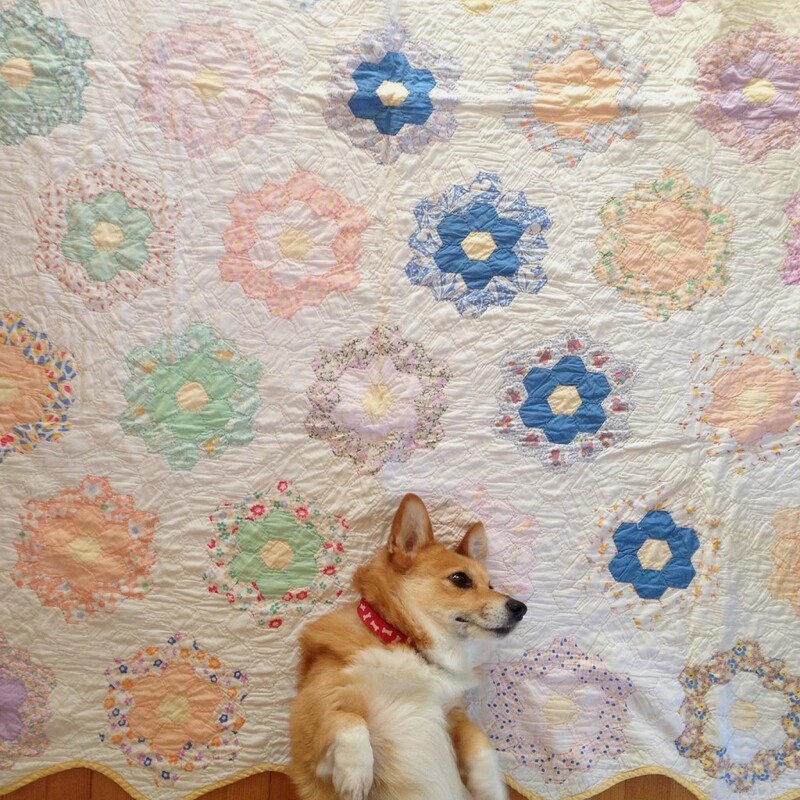 I also appreciate your creative works on Quilting . Congratulations….. and thanks for all beauty photos………..